Contiguous 48 States in the US (excluding Hawaii, Alaska, Puerto Rico). Our shipping prices are based on the value of the items in your order, the shipping method you choose and your location. 4-8 business days Order will ship within 1-3 business days and arrive 4-8 business days after the order was shipped. During peak seasons, orders containing personalized items may experience a slower processing time and ship within up to 72 hours of receipt. P.O. Boxes are not available for these States/Territories. Click here for a list of our available countries. Estimated delivery times may vary depending on your country’s customs requirements. P.O. Box delivery is unavailable for international shipping. International Economy The cost of shipping will be calculated and displayed during check out. This may include VAT/Tax fees. 8-11 business days Order will ship within 1-3 business days and arrive 8-11 business days after the order was shipped. Where does S’well ship to? S’well ships to all of the United States, including PO Boxes, APO/FPO addresses, and Puerto Rico. S’well also ships internationally, see below for a list of countries. S’well does not support the use of forwarding addresses. Please read our Policies for more restrictions. I have a PO Box. What shipping method can I use? All shipments going to a PO Box will be shipped via UPS Surepost. We can not expedite to PO Boxes. If you need to receive your bottles in a shorter timeframe, please change your “Ship To” address to another physical address (non-PO Box) and select one of our expedited shipping options. Deliveries to P.O. Boxes are not available for Hawaii, Alaska, and international addresses. What carrier does S’well use? We primarily use UPS (United Parcel Service) and USPS (US Postal Service). If your order is shipping to a PO Box address, final delivery will always be made by USPS, regardless of which shipping type you choose. I see that I can get free ground shipping when my order is over $50. How do I apply this perk to my order? 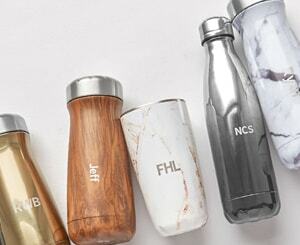 Free ground shipping is offered by S’well Bottle on orders over $50 via UPS Surepost. These orders will have an estimated shipping time frame of 4-8 business days. In order to apply it to your order, please select “Economy” as your shipping method during check out. Free ground shipping applies to all orders in the continental US. Free ground shipping does not apply to Alaska and Hawaiian orders. What is S’well’s International Shipping policy? International shipping is provided through DHL. To start an international order, please choose your country at checkout. DHL will calculate the total cost of your order in US Dollars (including freight, taxes and duties), and will handle payment and delivery of your order. All orders placed on swellbottle.com are in USD. You may incur conversion fees from your bank. Rates will vary based on the individual bank and typically range from 1% to 3% of the total order. Where does S’well ship internationally? Currently, S’well ships to 49 countries worldwide! How much will International Shipping and Handling cost? Shipping and handling is calculated based on your order size and your shipping destination. This cost will be displayed to you during check out. Please note all orders placed on swellbottle.com are in USD. You may incur conversion fees from your bank. Rates will vary based on the individual bank and typically range from 1% to 3% of the total order. Please note: If your order does not populate Shipping or VAT/Tax Costs your order may be placed on hold. A member of our Customer Service team will then be in contact regarding international quotes for your order. What is the S’well return policy? Please make sure you include your Order Number and the reason for return on your packing slip. If this return is for a quality issue, please reach out to us at help@swellbottle.com. Please allow 7-10 business days to process a return from the day that your items are received back in our warehouse. International customers, please reach out to help@swellbottle.com for further assistance. Customers who have purchased items from an authorized S’well retailer must initiate all returns and exchanges through the original point of purchase.